Wiltsher, Nick 2016. The Aesthetics of Electronic Dance Music, Part I: History, Genre, Scenes, Identity, Blackness. Philosophy Compass, Vol. 11, Issue. 8, p. 415. Jowers, Peter 1999. Timeshards: Repetition, Timbre, and Identity in Dance Music. Time & Society, Vol. 8, Issue. 2-3, p. 381. Bradby, B. 1993. 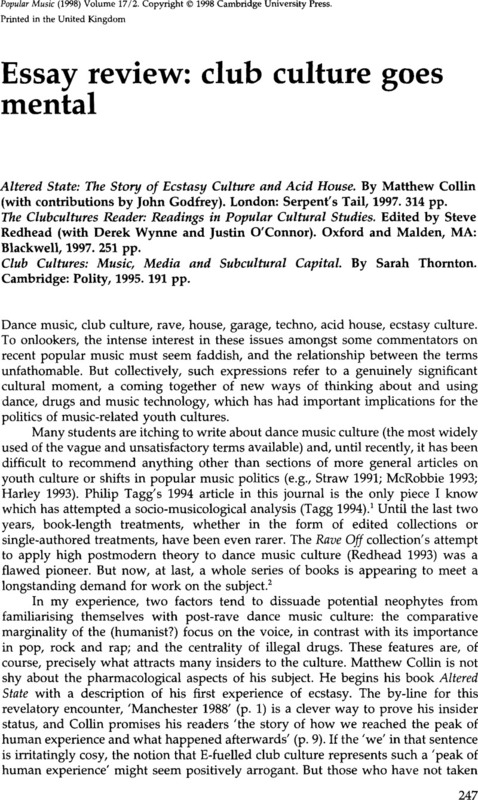 ‘Sampling sexuality: gender, technology and the body in dance music’, Popular Music, 12/2, pp. 155–76.